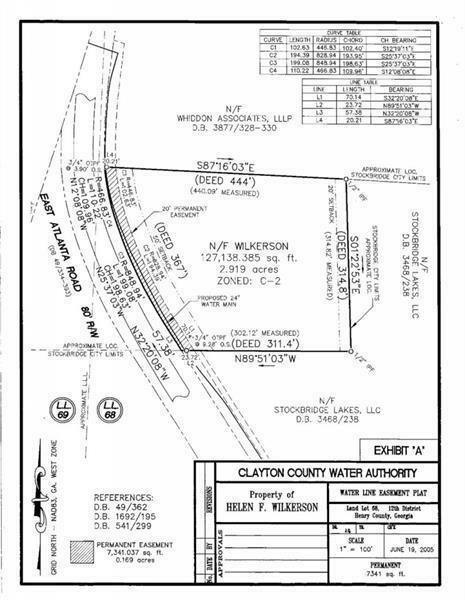 Stockbridge Zoned C-2, 2.9 acres(approximately). Adjacent to Stockbridge Lakes Publix shopping center, across from Cochran Park New water & sewer lines. Growing area older home and mobile home on property.